PLEASANT HILL, IOWA, UNITED STATES, March 18, 2019 /EINPresswire.com/ -- Every time we experience some type of negative emotion, anger, fear, hurt, it’s not as fleeting as we think. It invades our bodies and lingers so strongly it actually haunts us so we become physically and emotionally ill. What if there were a holistic modality that can literally erase those negative trapped emotions and help us find joy again? Barb is an Emotion Code practitioner and founder of http://emotionrelease.org. She is certified by Dr. Bradley Nelson, author of The Emotion Code, Body Code and DiscoverHealing.org. “With the tremendous amount of emotions we undergo every day, the only way to effectively release those trapped emotions is to locate them and release them one by one and that is my job as a practitioner,” says Barb. What led Barb to become certified as an Emotion Code practitioner is when she was suddenly stricken with a deadly Influenza A, pneumonia and ARDS, ending up in the hospital on life support. Miraculously Barb pulled through this but after leaving the hospital she was unable to recover fully, suffering trauma and overcome by fear so deep she had to retire from her full-time teaching job. By chance, a friend of hers introduced her to the Emotion Code and released such a tremendous number of trapped emotions from her that today, Barb is now functioning at a higher level than ever thought possible. Having healed so profoundly, Barb knew helping people experience the joy from the Emotion Code was her new purpose and life’s work. “Had I gone to the doctor for my anxiety after I got out of the hospital, they would have put me on medication and I never would have released the underlying cause of my trauma,” says Barb. Prior to her harrowing brush with death, Barb’s first husband was physically and emotionally abusive to her. When Barb finally escaped the relationship and met her soul mate, he tragically died of cancer thirteen years later. Not only had Barb been unwittingly carrying around her hospital trauma but all the sorrow, deep emotional wounds, and scars from her past relationships as well, and she hadn’t even realized it. 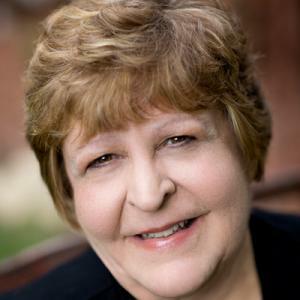 During Barb’s session, which can be done in person, over the phone, or by email, clients must grant her permission so Barb can connect with their subconscious mind. The Emotion Code also works on our pets so our furry friends and animals everywhere can also benefit from its miraculous benefits. “If you are feeling miserable, especially if you don’t know why, absolutely give the Emotion Code a try,” says Barb. “I often know by a pained look or despair in a voice that they are in despair. I bring them to that place where their emotions are not causing them this pain. They will retain the memory but the emotional pain has been released. “It is a higher power that actually releases the trapped emotion. I am merely the conduit." CUTV News Radio will feature Barb Pytel in an interview with Jim Masters on Tuesday March 19th at 1 pm EST.